Premier league football is back to Craven Cottage as Fulham host Crystal Palace in a London Derby. Fulham, the boys in immaculate white with more frowns than smiles, they don’t have a very rich history of success but they have produced some superstars in the past, one of them, arguably the best goalkeeper to ply his trade in the premier league in Edwin Van Der Sar, the former Manchester United stopper caught the eyes of the world even while in Fulham colours. Fulham will start their affairs against Crystal Palace, another team that struggled last season, with Wilfried Zaha still flying down the flanks, defenders must be wary of his trickery to avoid giving penalties away cheaply like we saw last season. 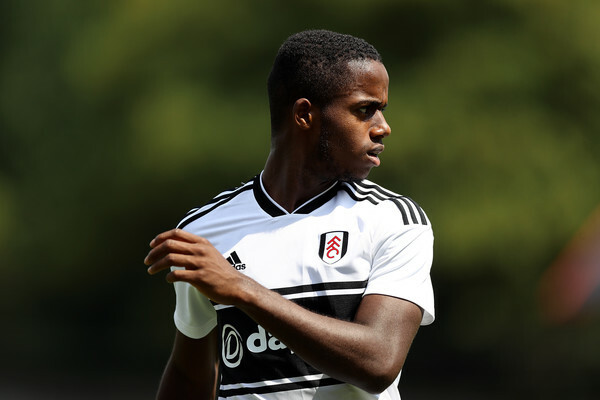 Fulham have in their ranks too a wonder boy, Ryan Sessegnon, the young chap bagged all the championship awards last season and it was quite commendable of Fulham to keep hold of him despite big guns seeking to cart him away. Slavisa Jokanovic's side was one of the busiest in this transfer window, signing 12 players with Barcelona target Jean Serri, former Chelsea attacking midfielder Andre Schurrle, Newcastle forward Mitrovic, Atletico Madrid striker Vietto and Cameroon international Zambo Anguissa leading the team into the new season. Palace manager Roy Hodson must avoid the kind of false start they endured last season, seven straight losses culminating into the sack of Frank De Boer. They shouldn’t rely on Christian Benteke for the goals, he has proven over time that he’s a spent force and won’t do them much good, high scoring midfielder, albeit, from dead ball situations, Luka Milivojevic will still be an important player this season, starting from here.